Dianne M. Snyder Zimmerman is a third generation Funeral Director at the H. L. Snyder Funeral Home, Inc., employed since 1972. She is the daughter of the late Clark E. and Mary E. Bohn Snyder and resides at the Funeral Home with her husband Terry L. Zimmerman. They have three children, Lisa A. Harner, Dawn M. Zimmerman and Lori A. Bettinger and six grandchildren; Kaitlyn and Nicholas Harner and Makayla, Heather, Dereck and Darren Brown. Dianne was a 1969 graduate of Pine Grove Area High School, attended Shippensburg State College for 2 1/2 years and was a 1972 graduate of the Pittsburgh Institute of Mortuary Science. She served her apprenticeship at the H. L. Snyder Funeral Home, Inc. under the supervision of her father, Clark E. Snyder. She is a member of the Lebanon-Schuylkill Funeral Directors Association where she served as president in 1979 and St. Peter's United Church of Christ, Pine Grove. Lisa A. Harner is a fourth generation Funeral Director at the H. L. Snyder Funeral Home, Inc. and has been employed since 1996. She is the daughter of Terry L. and Dianne M. Snyder Zimmerman and resides in Pine Grove with her two children, Kaitlyn and Nicholas. Lisa is a 1992 graduate of Pine Grove Area High School, a 1996 graduate of Elizabethtown College with a degree in Business Administration and a 1997 graduate of Pittsburgh Institute of Mortuary Science. She served her apprenticeship at the H. L. Snyder Funeral Home and received her license in 1998. She is a memberof the Lebanon-Schuylkill Funeral Directors Association where she served as president from 2013-2015, St. Peter's United Church of Christ, Pine Grove and the Pine Grove Community Band. Terry L. Zimmerman has been employed at the H. L. Snyder Funeral Home, Inc. since 1971. He is the son of the late Paul W. and Carrie Zerbe Zimmerman and resides at the Funeral Home with his wife Dianne M. Snyder Zimmerman. Terry is a 1968 graduate of Pine Grove Area High School and is an Army Veteran having served 14 months in Korea during the Vietnam Era. He completed classes at the Armstrong Carpet and Linoleum Installation School in Lancaster and was also employed at Snyder's Furniture Store, Inc. before it closed. 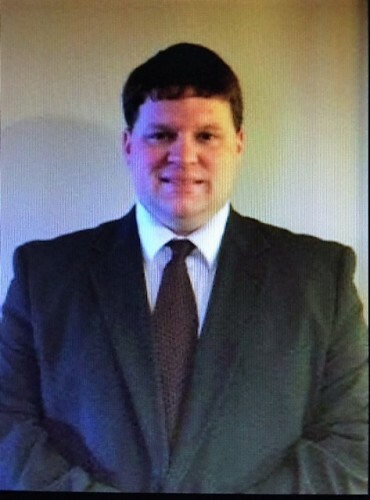 Justin M. Strouphauer is a Funeral Service Intern at the H. L. Snyder Funeral Home, Inc. and has been employed since January 2016. He is the son of Vernon and Susan Neidlinger Strouphauer and resides in Pine Grove with his wife Taylor and two sons Caleb and Ethan. Justin is a 2000 graduate of Pine Grove Area High School and a 2004 graduate of Central Pennsylvania College with an Associates Degree in Communications and a Bachelors Degree in Business Administration/Management. Justin is a 2017 graduate of the Pittsburgh Institute of Mortuary Science where he obtained his Associates Degree in Funeral Service Arts and Sciences. He is a member of St. Peter's Lutheran Church, Pine Grove. He enjoys spending time with his family, watching the Atlanta Falcons and the Philadelphia Flyers.